This 3 Star business hotel, is flanked by the shopping and business centers of the city from either sides on Mount Road. It has 30 air-conditioned rooms, and also boasts Savoury Sea Shell, the multi-cuisine restaurant in the adjacent building. 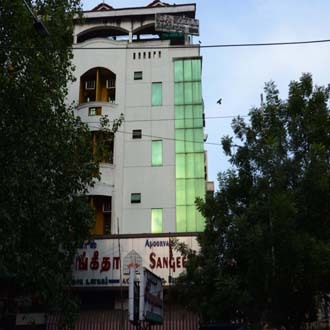 This places' proximity to the commercial area of T Nagar and other entertainment areas, makes it a convenient place for a stopover.